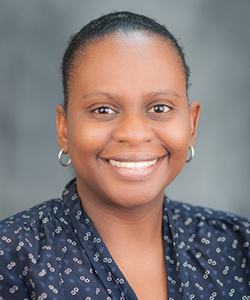 Latarsha Chisholm, Ph.D., is an assistant professor in the Department of Health Management and Informatics at the University of Central Florida. Prior to joining the department in 2012, she was a post-doctoral fellow at the University of North Carolina. She received her Ph.D. in health services research in 2010 from the University of Florida.